In 2018 global electric vehicle sales crossed the two million threshold, almost doubling the sales from 2017. The report shows how China is leading the way with a market share of 56%, leaving the U.S. and European countries far behind. Car manufacturers are pushing to bring out new electric car models and have big plans for the future. The 2018 race for the highest market share was won by Tesla’s Model 3 with 7%, followed by BAIC EC-Series and Nissan LEAF (both 4%). Vehicle specifications, incl. model, battery specifications, reach, etc. 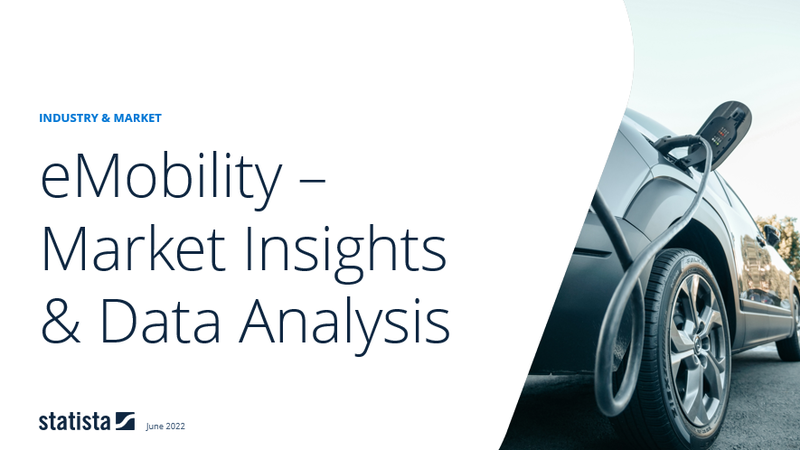 This report offers insights into the eMobility market focusing on electric cars, but also giving insights beyond this. The excel file complements the report with a detailed list of currently available electric vehicle models and their specifications. The history of electric vehicles started in the early 1800 but it only took off when Tesla entered the market and reignited public interest in electric cars. China, the U.S. and Norway were the three biggest markets for electrical vehicles in 2018. The dominance of these markets can be gauged from the fact that they accounted for 77% of all electrical vehicle sales globally in 2018. There are three major drivers for the electric vehicle market: government policies, the Tesla effect, and lower battery costs. The main challenges hindering the adoption of electric vehicles are the lack of infrastructure such as charging stations, high up-front costs, lack of consumer knowledge and wrong perception, as well as the pressure of oil companies and the car manufacturer lobby. Lithium-ion batteries dominate the market mainly because they deliver the highest range at a lower cost as compared to any other battery. However, owing to various limitations, companies are now investing in other battery technologies. Rising pollution levels, potential operational cost savings and heavy dependence on public transportation are the three major factors driving the gradual switch from hydrocarbon based to electrified public transport. In the other deep dives we look into the recent popularity of e-scooters and the next growth driver of electric vehicles: vans and trucks. Consumer insights show that gasoline and diesel lead in terms of drives in the primarily used car in the U.S., the UK and Germany. While gasoline is still the most probable drive for a future car, hybrids and electric drives catch up. Electric drives seen as sustainable and environmentally friendly, but not sporty, whereas gasoline drives score in terms of suitability for day-to-day use and sportiness. German eMobility experts see business conditions in Germany critically in an international comparison, although the promotions of the governments promotion have little/no influence on the sales of electric vehicles. Experts expect less diesel drives by 2020 in favor of hybrids and electric drives for new car registrations. Tesla is the most recognized electrical vehicle brand in the world selling nearly 200,000 units of the Model 3 and Model S in 2018. Aesthetics and longer ranges as compared to other EVs, are the primary reasons for its success. However, production issues with the Model 3 have resulted in delays and liquidity problems. BYD is one of the largest selling brands in China with limited focus on international markets. The company has six electrical vehicle models in the market and sold more than 250,000 electrical vehicle units in 2018. Other leading companies include BAIC, BMW, General Motors, and Nissan. Shared cars: Users by age in the U.S. Shared cars: Users by income in the U.S. Shared cars: Users by gender in the U.S.